Flower FormTypical morning glory flowers. ColorSky blue flowers with a white throat. CommentsRefreshing, sky blue flowers add color to the garden from midsummer to fall. This annual, quick-growing vine with heart-shaped leaves is a great choice for covering trellises and fences. It can also be used as a ground cover or spilling over a rock wall like a waterfall. 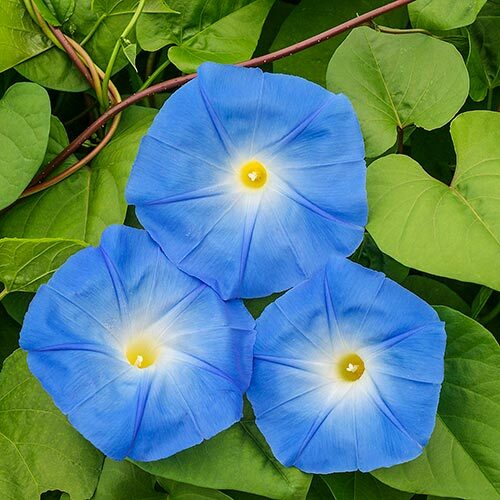 Morning glory vines are treasured for their fast growth, tolerance of poor soils and gorgeous flowers-and this variety doesn't disappoint.